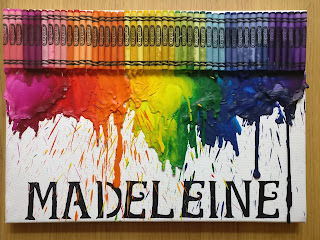 I'm a primary (elementary) teacher who runs an after-school art club. This blog records all of my art activities with instructions and examples of work that my club produces. I also post artwork from my usual class. On 9th July, I became an uncle for the first time when my wonderful sister gave birth to the beautiful Madeleine Rose. Immediately, the new parents were inundated with all sorts of clothes, bibs and nappies. 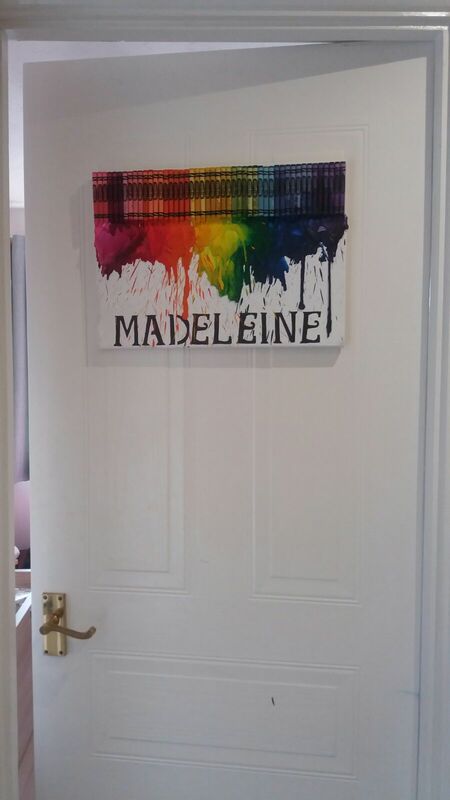 However, the request for me was to purchase a name sign for Maddie's new bedroom. I thought I'd go one better and create her own sign from scratch using the metled crayon method that I used before for this project. Here it is up on the door. I'm hoping Maddie will enjoy it for years to come. I'll make an artist of her yet!